The Sozo Children's Choir is RETURNING to the United States in 2020! 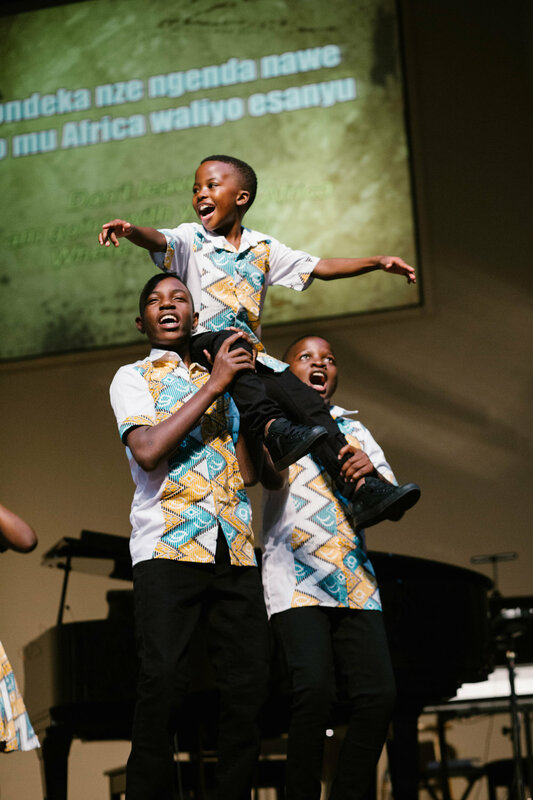 Every other year a group of children travel from Sozo Children Uganda to America as the Sozo Children’s Choir, touring the States while leading worship at churches, schools, and events. Experience cultural Ugandan singing and dancing with African instruments, powerful corporate worship, and brief testimonies. Calendar is under construction—please check back soon! Sozo Children’s Choir began to provide spiritual, personal and cultural development opportunities for those served by Sozo Children in Uganda. We refer to visiting the US for choir tour as a “reverse mission trip” for our children, who are often the recipients of short-term mission service from friends and sponsors from the States. Through the tour, our children are able to share Christ’s love, grow in their faith, and continue learning to serve others as part of Sozo Children’s mission to empower vulnerable children to become thriving leaders for Jesus Christ. Our 2016 tour: 25 Ugandans, 4 Months, 10 States, 43 cities, and 102 performances. Our 2018 tour: 22 Ugandans, 4 Months, 15 States, 50 cities, and 104 performances.